Industrialization has turned much of the Chinese countryside into an environmental disaster zone, threatening not only the food supply but the legitimacy of the regime itself. In Dapu, a rain-drenched rural outpost in the heart of China's grain basket, a farmer grows crops that she wouldn't dare to eat. A state-backed chemicals factory next to her farm dumps wastewater directly into the local irrigation pond, she says, and turns it a florescent blue reminiscent of antifreeze. After walking around in the rice paddies, some farmers here have developed unexplained blisters on their feet. "Nothing comes from these plants," says the farmer, pointing past the irrigation pond to a handful of stunted rice shoots. She grows the rice, which can't be sold because of its low quality, only in order to qualify for payments made by the factory owners to compensate for polluting the area. But the amount is only a fraction of what she used to earn when the land was healthy, she says. The plants look alive, "but they're actually dead inside." The experiences of these farmers in Dapu, in central China's Hunan province, highlight an emerging and critical front in China's intensifying battle with pollution. For years, public attention has focused on the choking air and contaminated water that plague China's ever-expanding cities. But a series of recent cases have highlighted the spread of pollution outside of urban areas, now encompassing vast swaths of countryside, including the agricultural heartland. Estimates from state-affiliated researchers say that anywhere between 8% and 20% of China's arable land, some 25 to 60 million acres, may now be contaminated with heavy metals. A loss of even 5% could be disastrous, taking China below the "red line" of 296 million acres of arable land that are currently needed, according to the government, to feed the country's 1.35 billion people. Rural China's toxic turn is largely a consequence of two trends, say environmental researchers: the expansion of polluting industries into remote areas a safe distance from population centers, and heavy use of chemical fertilizers to meet the country's mounting food needs. Both changes have been driven by the rapid pace of urbanization in a country that in 2012, for the first time in its long history, had more people living in cities than outside of them. Yet the effort to keep urbanites comfortable and well-fed has also led to the poisoning of parts of the food chain, and some of the pollution is traveling back to the cities in a different—and for many, more frightening—guise. "Pollution can be displaced only to an extent. You can't put walls around it," says Judith Shapiro, the U.S.-based author of the recent book "China's Environmental Challenges." 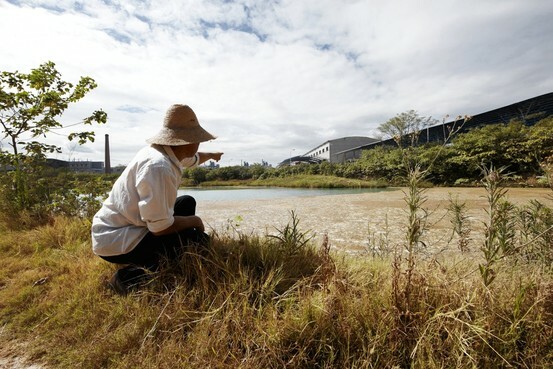 She is one of a number of researchers and environmental activists—including many in China—who warn that pollution poses an existential threat to the current regime. It is, she says, "perhaps the single most significant determinant of whether the Communist Party will maintain its legitimacy in coming years." China has long sought to industrialize its countryside, dating to Mao's disastrous Great Leap Forward beginning in 1958, when he sought rapid industrialization by urging peasants to set up backyard steel furnaces at the expense of agricultural output. The cumulative impact of decades of building up rural industry is now taking an environmental toll, particularly as industrial growth surges forward in China's breadbasket. In the once agrarian provinces of Hunan and Hubei, industrial activity rose more than threefold from 2007 to 2011, far outpacing industrial growth in powerhouse Guangdong. In some cases, factories are moving to the countryside to take advantage of cheaper land, often made available with the help of local officials who want to boost growth, environmental researchers say. In other cases, urban leaders want factories to move out of crowded cities. The ensuing problems of rural pollution are exacerbated by the fact that many small-town governments have less capacity to properly regulate complex industrial activities than their counterparts in big cities, experts say. The consequences of this shift catapulted to national attention in February, after China's Ministry of Environmental Protection refused to release the results of a multiyear nationwide soil-pollution survey, calling the data a "state secret." The decision—brought to a head when an activist lawyer pressed the ministry to reveal the numbers—sparked an outcry online and in the traditional media. Criticism even came from the Communist Party's flagship paper, People's Daily, which posted a message to its microblog that read: "Covering this up only makes people think: I'm being lied to." The environment ministry hasn't responded to requests for comment. In April, Zhuang Guotai, head of the ecological department at the environment ministry, said during a news conference that the survey's findings would be released after the results had been "verified" but didn't elaborate. The uproar over the soil survey was compounded by a second controversy the next month, when authorities in Guangzhou, the capital of southern China's Guangdong province, revealed that eight out of 18 samples in a survey of local rice supplies had been found to contain excessive levels of cadmium, a heavy metal that can wreak havoc on the kidneys and cause severe bone pain. Officials didn't say where the cadmium came from, though the rice itself was grown in nearby Hunan province, they said. Cadmium is generally associated with mining and the smelting of metals like zinc and lead, as well as battery manufacturing, all of which are common in Hunan. Social media users expressed anger and dismissed two subsequent provincewide investigations that showed excessive levels of cadmium in only 5.8% and 1.4% of rice supplies. "First water, then the air we breathe, and now the earth. How can people still survive?" wrote one user on Sina Weibo, a popular Twitter-like microblogging service. "I suppose we can always move abroad or to outer space." "Chinese people have a very deep connection to rice," adds Liu Jianqiang, a former investigative reporter who now serves as the Beijing-based editor of China Dialogue, a nonprofit media organization that tracks environmental issues. "If you discover some vegetable or fruit is poisoned, you can say 'I won't eat it.' But rice you can't avoid." Chinese officials have repeatedly said that they are serious about reining in pollution. A week after the cadmium news broke, the new Chinese president Xi Jinping said at a meeting of top leaders in Beijing that he planned to set an ecological "red line," warning that those who crossed it would be "held accountable for a lifetime," though he didn't provide specifics. The threat to China's countryside goes far beyond cadmium. In January, China's official Xinhua news agency highlighted the dangers of hazardous chemical waste in rural areas by profiling Zekou, described by environmentalists as a "cancer village" in the central province of Hubei. Residents blame a nearby industrial park for more than 60 recent cancer-related deaths, most of them of people under the age of 50. The Ministry of Environmental Protection publicly acknowledged the existence of such "cancer villages"—which have unusually high rates of cancer and, according to nongovernmental organizations and researchers, number in the hundreds—for the first time a month later. In March, state media reported that 168 villagers who live near a battery factory in the eastern province of Zhejiang were discovered to have elevated levels of lead in their blood, the latest in a stream of rural lead-poisoning cases tied to battery and smelting facilities. And then there are the pressures being placed on China's farmland by the overuse of chemical fertilizers. Mr. Zhuang, of the environment ministry, said at his recent news conference that only 35% of the fertilizer used in China was being properly absorbed by crops. The remaining 65%, he said, was being discharged as pollution that was seriously tainting China's farmland. Runoff of nitrogen fertilizer, among the most widely-used varieties in China, can contaminate water sources and lead to soil acidification, soil erosion and lower crop yields. "If things carry on this way, the soil will be unable to bear it, the environment unable to bear it. It's a real problem," said Mr. Zhuang. Between 2000 and 2011, the use of chemical fertilizer—pushed by the country's exploding demand for staples such as rice—rose 38%, to more than 57 million tons a year, according to the National Bureau of Statistics. Such growth far outpaced the growth of total irrigated farmland, which rose only about 15% during the same period. Experts say that the government is aware of the threat posed by rural pollution, noting a pledge by the environmental minister in March to make heavy-metal pollution a major focus. The Ministry of Land and Resources followed by announcing in June that it would conduct its own nationwide soil sampling to map pollution levels around the country, though it isn't clear if the findings will be made public. Later that month, China's cabinet, the State Council, discussed a draft amendment to the country's environmental law that would, among other things, stiffen punishments for polluters and require tighter regulation of fertilizers. But experts say that fear of transparency, a lumbering bureaucracy and worries over how China would cope if large areas of land were declared tainted raise questions about the government's ability to respond. Removing heavy metals from farmland is a complicated process that can take years—time lost for farming. That is a chilling prospect for a government tasked with supporting 20% of the world's population on less than 10% of the world's arable land. Any major reduction in food security would hurt the Communist Party, which has staked its reputation in part on its ability to keep the country's granaries full with minimal imports. The government's refusal to release its soil survey, meanwhile, has only added to fears that officials know more than they are willing to say. Launched to great fanfare in the state media in 2006, the survey was originally scheduled to be completed in 2010. In June last year, an environment ministry official told the Xinhua news service that more than 20% of soil samples in a trial program for monitoring pollution, involving 364 rural villages, had failed to meet national standards and that the results of the survey would be published "at the proper time." "There's a general feeling that government officials know the problem is really bad, and if they disclose it, then the public outrage will get ahead of the ability of the state to do something about it," says Alex Wang, an expert in Chinese environmental law at the UCLA School of Law. For generations of readers in the West, the profound ties to the land of China's farmers have been vividly depicted by "The Good Earth," novelist Pearl S. Buck's 1931 portrait of one rural family's struggles in the era before the revolution. As the protagonist Wang Lung discovers, even through years of famine and hardship, Chinese must ultimately find their sustenance in the soil. Today, many of the country's rural dilemmas are most visible in Hunan province, the source of the cadmium-tainted rice discovered in Guangzhou. China's top rice producer, Hunan grew nearly 26 million tons of unmilled rice, almost 13% of China's total, in 2011. Hunan's central role in feeding China is encapsulated in a proverb that dates back more than 400 years to the late Ming Dynasty, when the province had a different name: "When Huguang reaps its harvest, all under Heaven want for nothing." In recent decades, however, Hunan has also become one of the country's top five producers of nonferrous metals like copper and lead, with mines and smelters that accounted for 7.5% of the country's nonferrous metals in 2012, according to Wall Street Journal calculations based on provincial and national statistics. "You have farms next to mountains where mining is happening, and not enough attention is placed on environmental protection," says Chen Nengchang, a soil remediation expert with the Guangdong Institute of Environmental and Soil Sciences. It is difficult to say how extensive Hunan's cadmium problem is, just as it is hard to pinpoint exactly where the cadmium in any batch of tainted rice comes from. In one of a handful of small studies done on heavy-metal pollution in the area, published in 2008, Nanjing Agricultural University professor Pan Gengxing found 60% of rice bought in markets in a number of southern provinces, including Hunan, contained cadmium in excess of China's national standards. That survey, however, was based on only 61 samples. Also, China's maximum allowable cadmium standard, 0.20 milligrams per kilogram of rice, is twice as strict as the widely used international standard. Studies have shown that Hunan rice is also polluted with excessive arsenic and lead, and that some of the rice has made it into markets. Zhu Hongqing, a 42-year-old rice farmer who lives down the road from Dapu in the village of Yangqing, believes that his paddies are clean. They are located more than a mile from the chemical factory in Dapu and many miles from any mine. But consumer paranoia, amplified by a lack of information, means that the market for all Hunan rice is suffering, with prices of milled rice dipping as much as 14% since the cadmium scare began before recovering slightly, according to a manager at Jincheng Rice Mill in Hunan's Yiyang City. 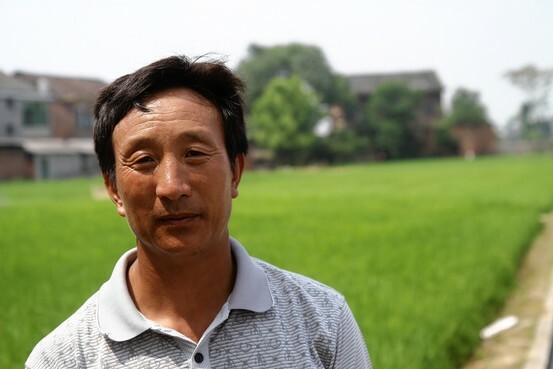 "I told my wife I have a very bad feeling about this," Mr. Zhu said one recent morning while surveying an early rice crop on the cusp of being harvested. "It's going to be impossible to sell it." The political sensitivity surrounding soil pollution is evident back in Dapu, where villagers were afraid to give their names for fear of reprisals from local officials. The farmer who is growing bad rice says that the village had long been a clean and prosperous place. Residents made a comfortable living selling rice, jujubes, oranges and melons. That changed in 2008, when construction began on an aluminum fluoride facility. The plant ran 24 hours a day, she says, sending smoke over local fields when the southern winds began to blow in late summer and polluting irrigation systems to the point that even the insects have fled. The fruit trees stopped bearing fruit, and whatever did grow, no one was willing to buy. After villagers complained, the factory owners agreed to pay compensation as long as farmers continued to raise a crop. The Dapu farmer says that she used to earn as much as 10,000 yuan, or $1,630, each year from growing rice. Now she gets about 5,400 yuan, or $880, to grow rice shoots that don't produce any rice. An official in charge of environmental protection at the factory, Hunan Nonferrous Fluoride Chemical, Co. Ltd., a subsidiary of state-run China Minmetals Group, said that the facility maintained strict environmental standards but that faulty equipment and electricity problems occasionally led to the accidental discharge of excess pollution. He said that none of the factory emissions were harmful to human health and added that the company paid pollution compensation as required by regulations. "Conflict between farmers and enterprises happens all the time because chemical factories can only be set up in the countryside," said the official, who only gave his surname, Li. "I totally understand the local people. I'm the son of a farmer myself." Officials at the Hengdong Agricultural Bureau, which is responsible for monitoring Dapu, hung up the phone repeatedly.